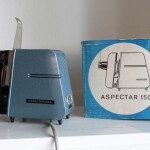 Designed in the 1950’s as successor to the Aspectar N24, the Aspectar 150 A optimistically poked its stubby nose into the world. 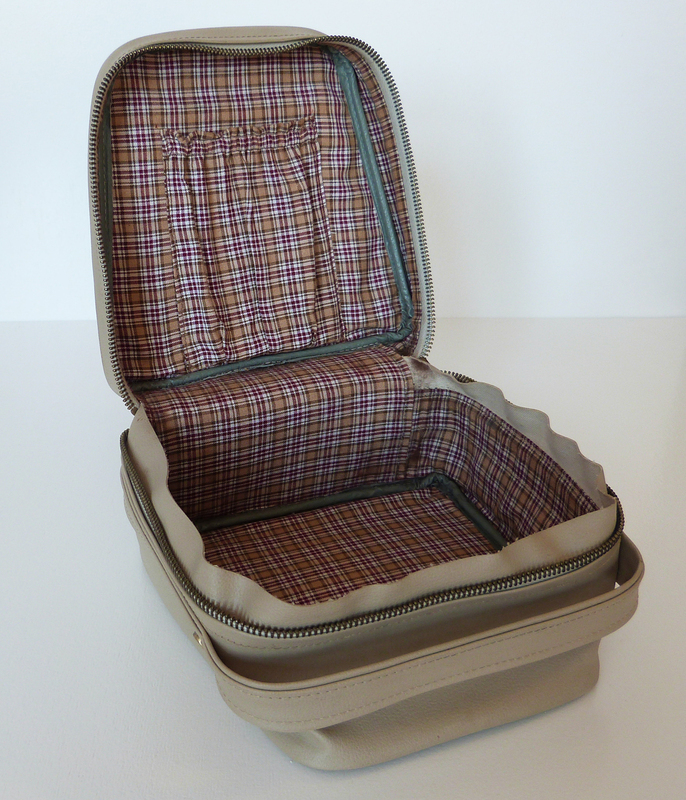 Timelessly modern, precisely finished, user-friendly, durable and practical – an industrial design classic. 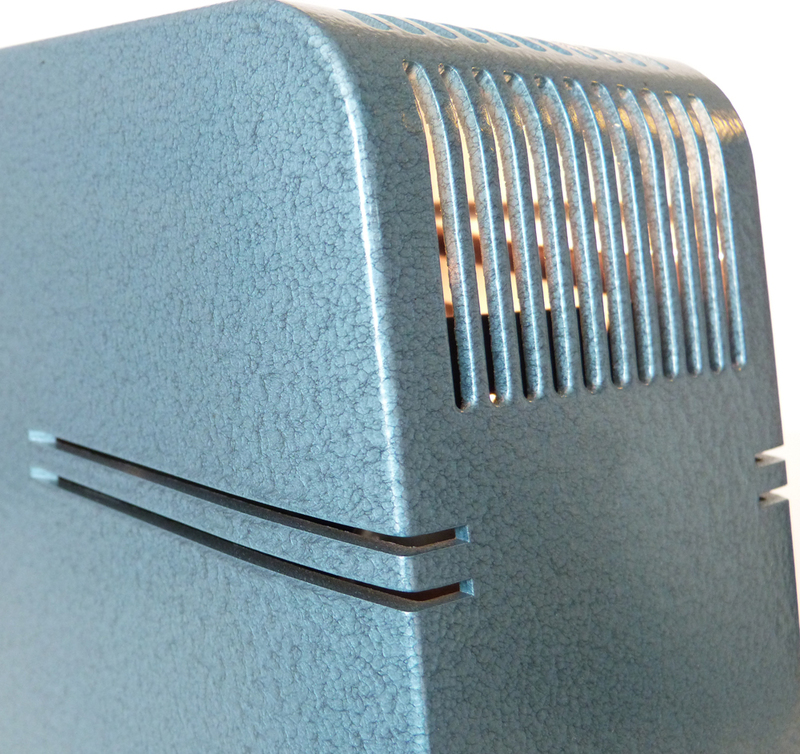 The Aspectar’s trademarks are its organic curves, the 26 horizontal and 11 vertical ventilation slots, and the hammered-look finish in anthracite or pale blue. 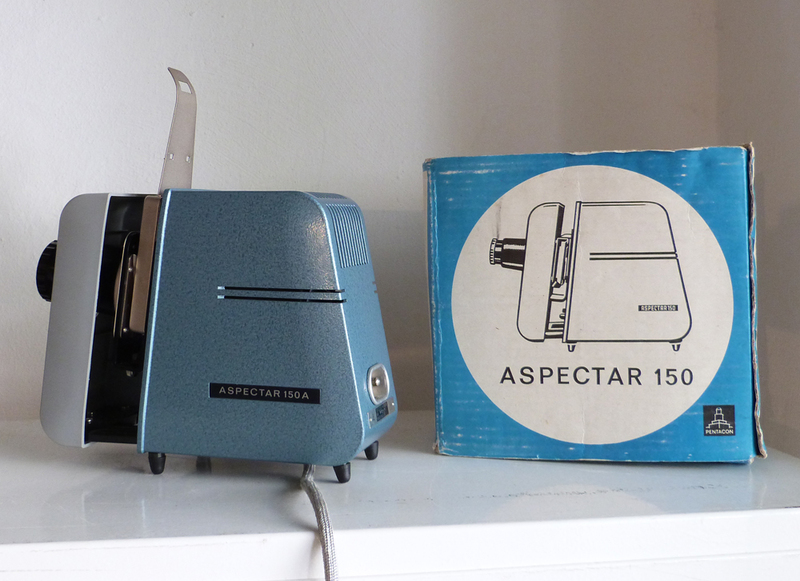 The Aspectar 150 was designed by Dresdener designer Manfred Klaus in 1957. 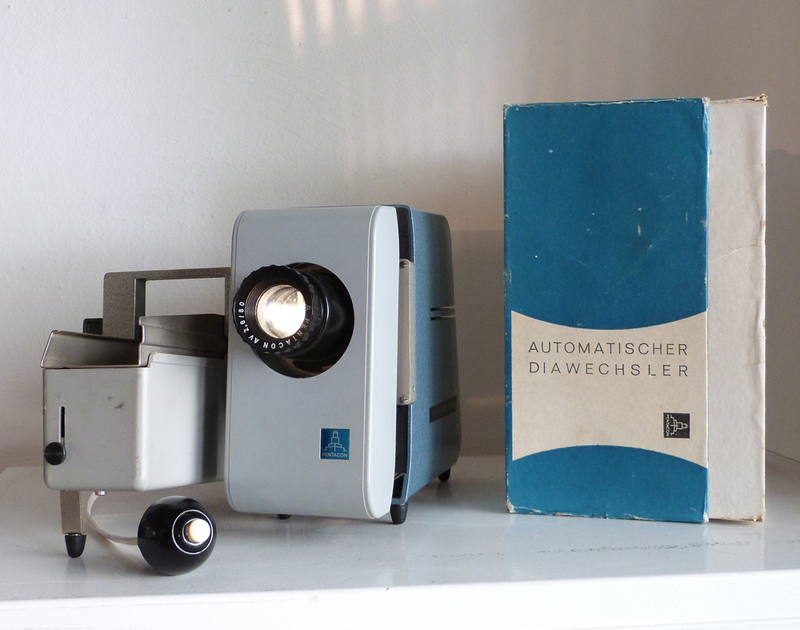 Around half a million were manufactured between 1961 and 1984 in the “Volkseigenen Betrieb Kamera- und Kinowerke Dresden” (Publicly-owned Operation Camera and Cinema Factory Dresden, and sold under the trade name Pentacon. Almost every citizen in the German Democratic Republic was familiar with the Aspectar, which became well-loved in a few other Eastern Block States too. 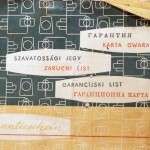 The warranty certificate was printed in Hungarian, Polish and Russian, indicating the Aspectar’s intended markets. It was clearly aimed at the modern family. A look at the brochure from 1969 shows the “Aspectar Family”, featuring a cigarette-smoking Dad wearing pullover, shirt and tie. He gazes into space. His son wears a suede jacket and a smirk, as a somewhat distant Mum poses at the projector in a red sleeveless sweater. In contrast to contemporary practice, here is a family with just one child. Evidently, this advert is not merely aimed at the Eastern Block, but intended to appeal to the international market. The brochure features a photograph of men playing Field Hockey -an obscure sport in the GDR- indicating the delicate balancing act the advertiser had to negotiate between the differing requirements of the domestic and international markets. The brochures and packaging feature the timeless modern trademark of a white circle on a blue background. The brochure featured here is from 1963. There are no surviving sources of distribution or sales figures for the various countries in which the Aspectar was sold. 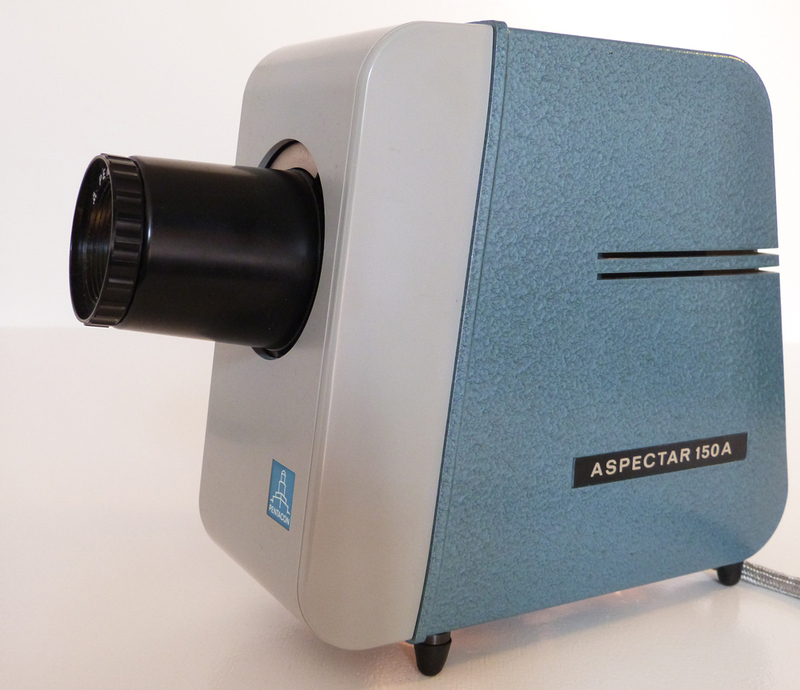 The Aspectar 150 A was designed by the Dresdener designer Manfred Klaus in 1957, as a portable 35mm slide projector, able to display 50x50mm (2″) square frame reversal film. 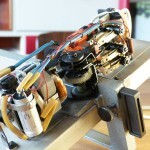 35mm film strips could be displayed by utilizing the “small format strip feeder” accessory. The soft, organic form, protruding snub-nosed lens and light blue hammered-effect finish make the Aspectar 150 A unmistakable. 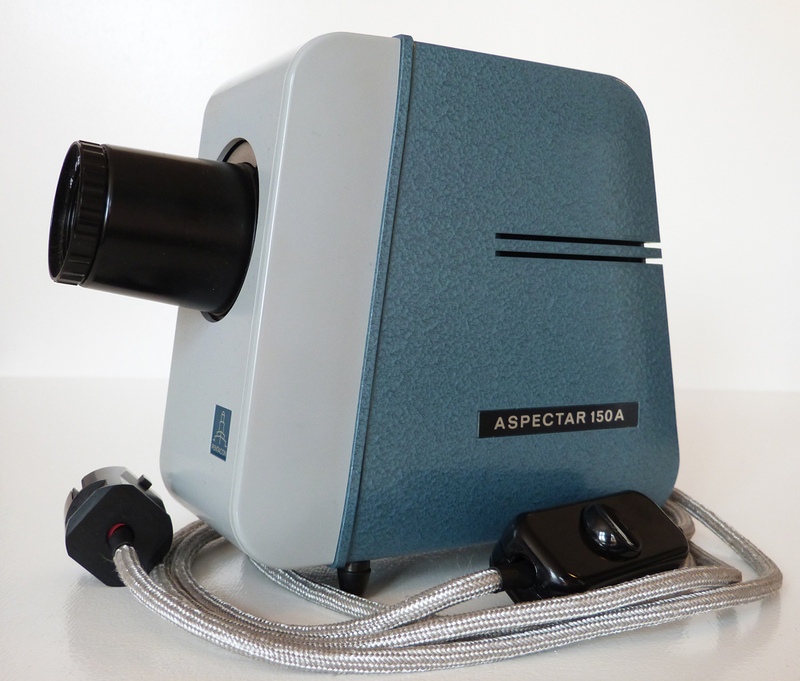 The body, face and lens casing of the Aspectar 150 A are die cast aluminium and finished in grey hammer-effect paint. 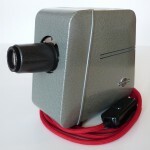 The 150 Watt projector lamp is switchable between 110 and 220 Volts AC, and the light concentrated through the objective lens via a 3-part condenser. 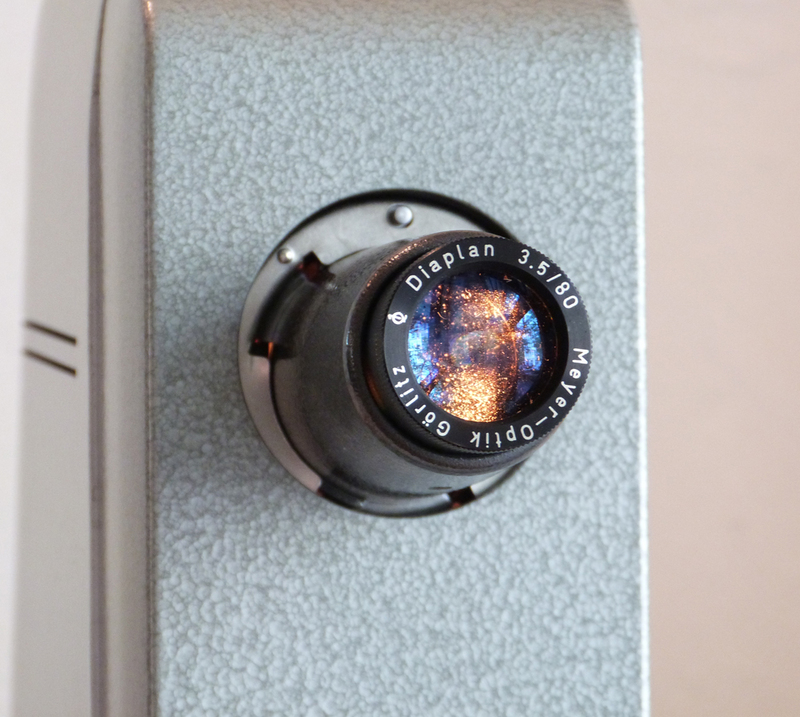 The first production run featured the Meyer Diaplan 2,8/80 lens, manufactured by the long-established Meyer – Optik Görlitz. 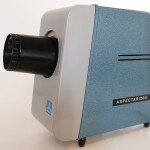 An unusual feature of the Aspectar 150, designed with portability in mind, is its bayonet-mount lens, the main portion of which can be stowed inside the projector housing for ease of transport. Noticeable is the high standard of engineering throughout, with longevity and ease of individual component switchability to the foremost. 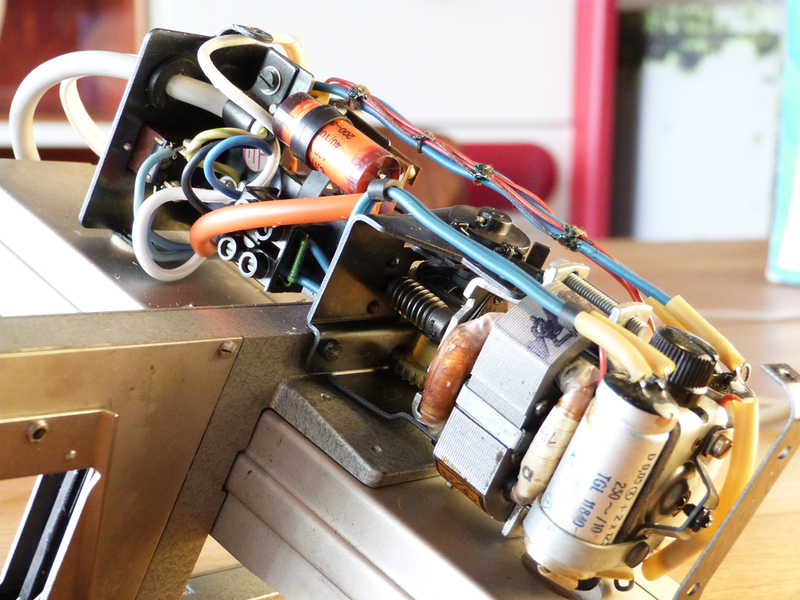 All general maintenance can be performed by the layman, with the aid of detailed operating instructions. “Built-in obsolescence” was clearly not on the design agenda in this case. 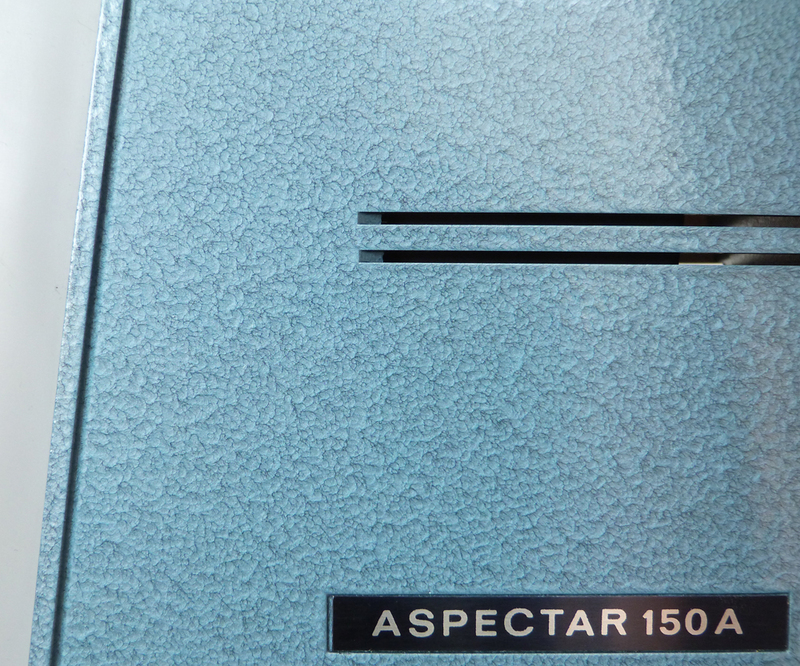 The Aspectar 150 A arrived on the market in 1964, with very few changes to its original design. 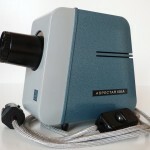 In contrast to its predecessor, it featured a more light-efficient lens, the Diaplan 2.8 / 80 from Meyer – Optik of Görlitz. 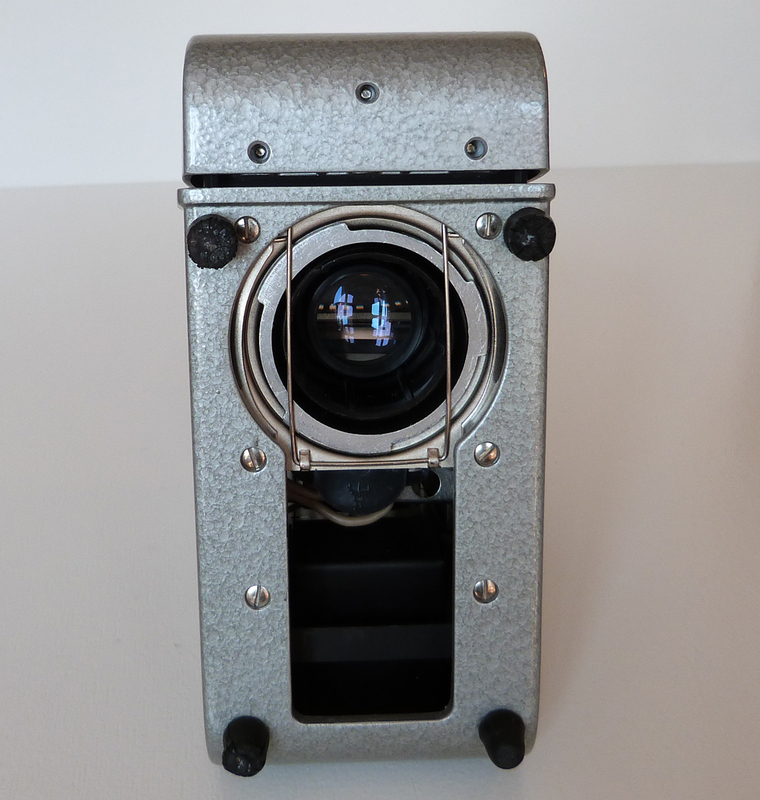 Optically, this lens was unchanged and still housed in aluminium. 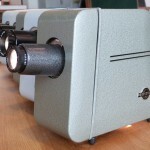 A panel featuring the blue Pentacon logo, the Ernemann tower, with lettering, riveted to the front of the projector housing. The nameplate no longer featured the white circle and utilised a somewhat softer script. 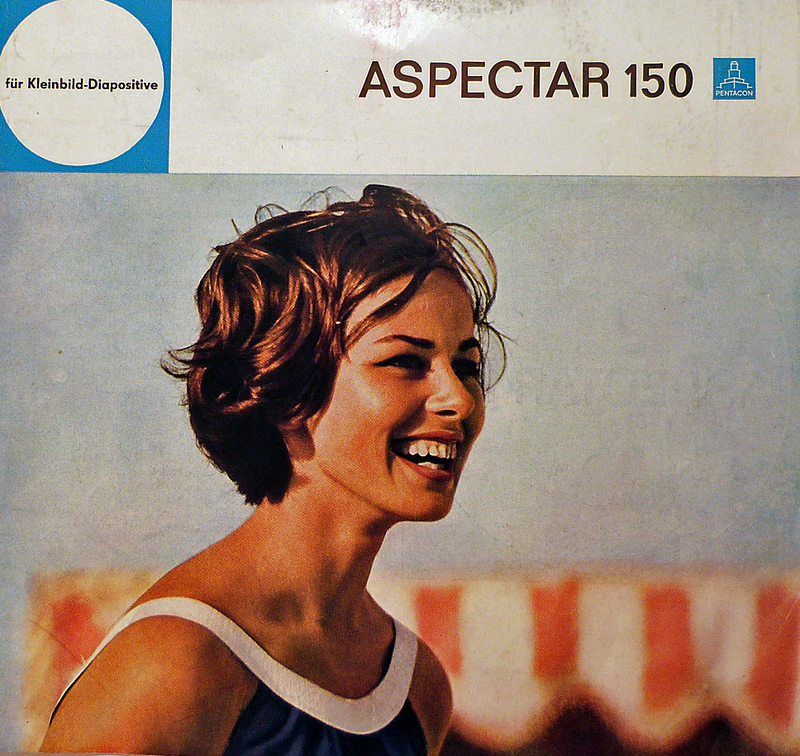 It was not until the early 1970s that intermediate models of the Aspectar 150A, by now a classic of contemporary home entertainment, appeared. 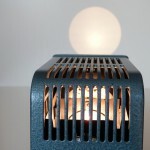 with light grey plastic face, and light blue crackle finish. 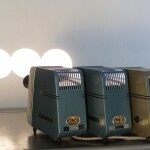 Although the colour scheme is less coherent as a whole, the fresh light blue crackle finish nevertheless stands out, compared with contemporary devices of this kind. 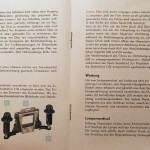 The lens now comes from Pentacon, a black plastic AV Pentacon 2,8 / 80. 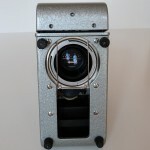 In contrast to the first model, the later lenses no longer show the quality mark Q1. The anthracite-coloured nameplate showed the model type and was recessed into the housing. All variants of the Aspectar betray the efforts of its designers to dissipate the enormous heat generated by the 150-watt bulb. In general, however, they failed adequately to do so. 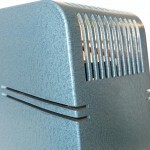 Noteworthy is the use of the interesting term “flue” (Kaminschacht) to refer to a simple sheet metal component utilised for heat dissipation. 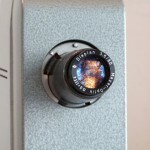 The lack of a facility for longer viewing periods of large numbers of slides before changing the magazine, however, would have brought no particular improvement in the guest’s quality of life, and the required regular change of slides was not really a problem for the user. 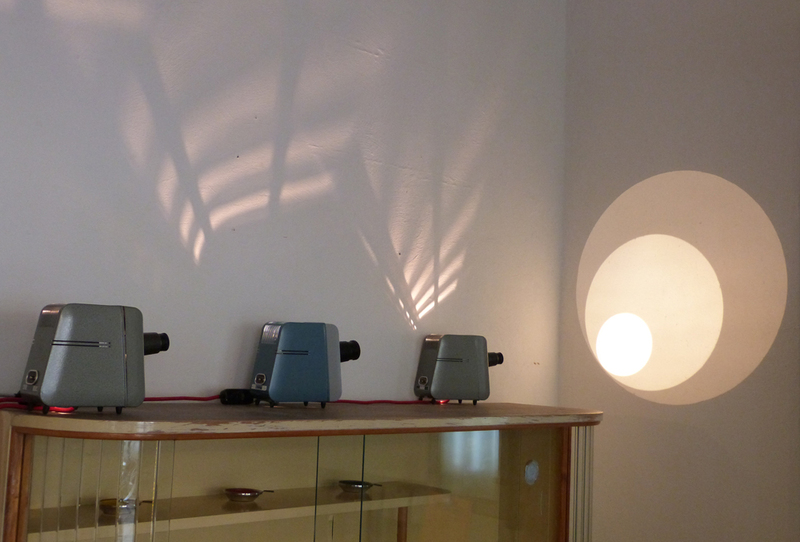 The positive features of the projector far outweigh this shortcoming. 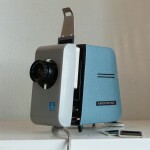 The basic over-the-counter Projector was supplied with a manual slide changer, packaged in cardboard printed with the timelessly up-to-date Pentacon Logo – a white circle on a blue background. 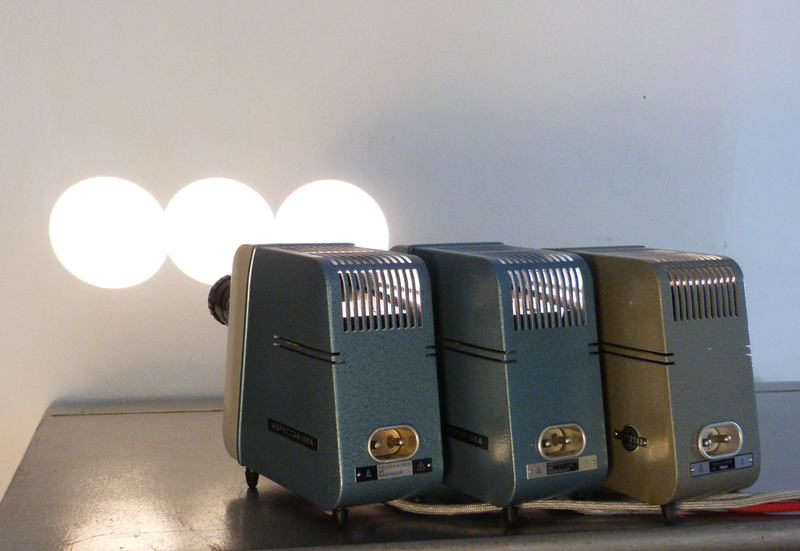 The price for the standard model was about 180 GDR Mark or approximately €150 today. 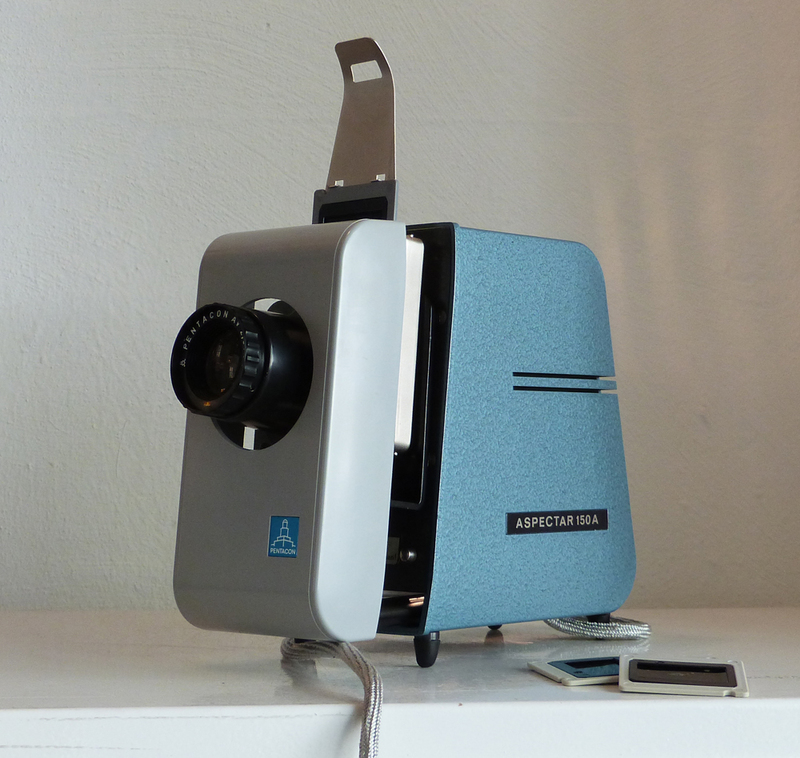 Optional accessories included an image strip feeder; that is, a device for viewing entire slide films. 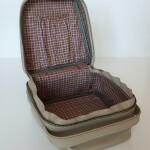 Worthy of special attention are an automatic magazine slide changer and carrying bags. 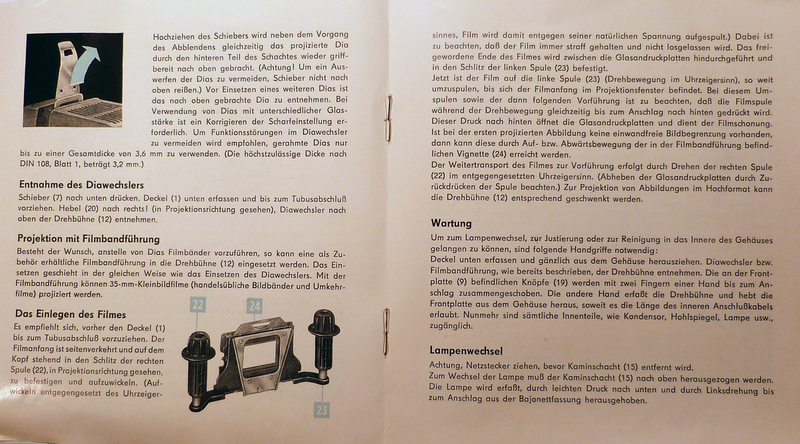 The so-called “automatic attachable magazine – slide changer is remotely controlled by a cable and push button attachment” (Booklet J 2147/63, p 4). 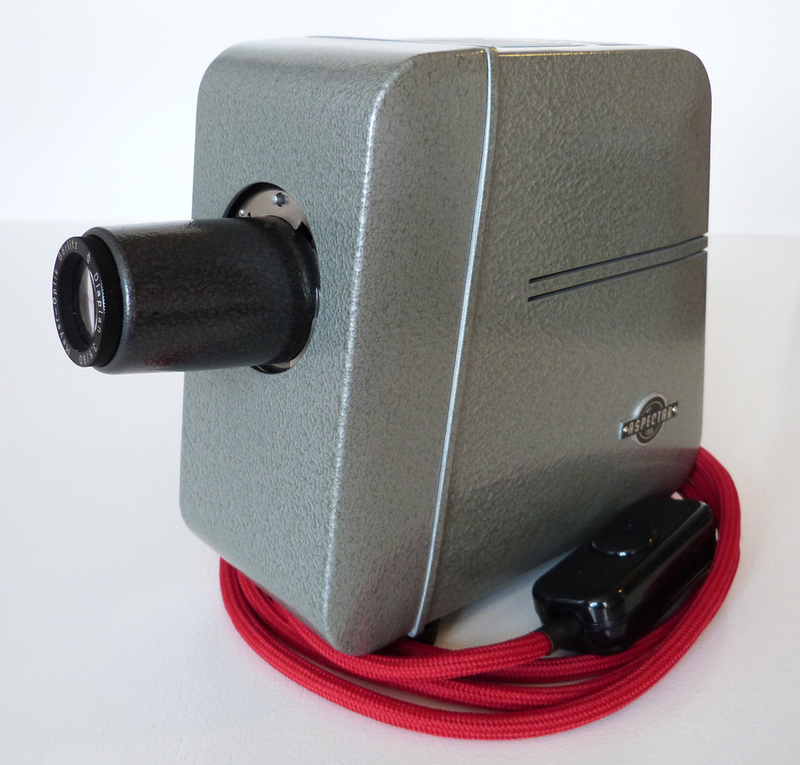 “Push-button” refers in this case to a wired Bakelite switch that triggers the device. A magazine holds 36 slides. “The remote control by cable” and “automatic”push button allow the user the convenient uninterrupted perusal of enlightening words. 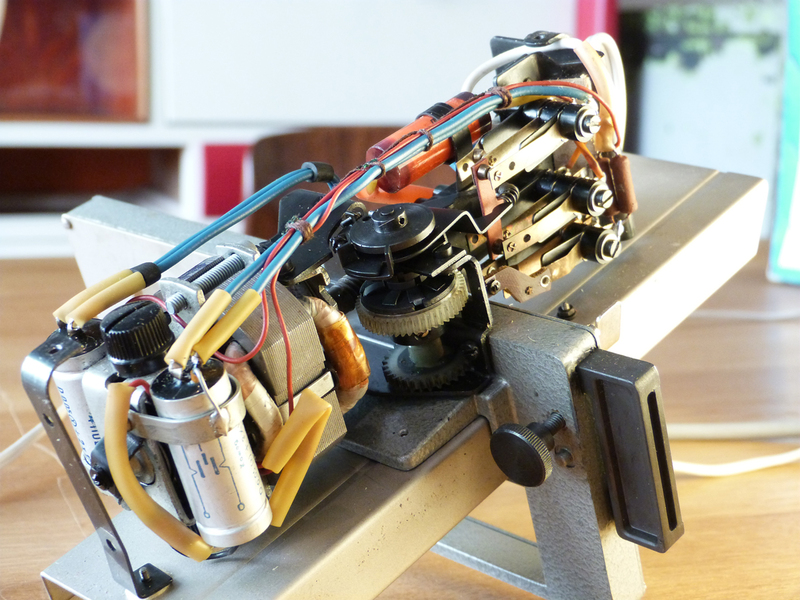 The noise caused by the changer is studiously ignored in this illustration. 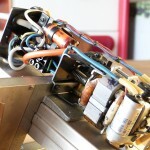 The real benefits of this changer are arguable, but it is a prime example of a precisely-operating, artisan-made electromechanical device. In addition to this, a 1969 brochure celebrated the slide changer as an example of “modern automation”, with accompanying amusing family photo. A cigarette-smoking Dad wearing pullover, shirt and tie. He gazes into the middle distance, as his son sits smirking in a suede jacket, and Mum, at some remove, poses at the (switched-off) projector, in a red sleeveless sweater. … “ASPECTAR owners are therefore always welcome guests. Your “portable entertainment” brings with it a friendly mood to the evening, and thanks to the ASPECTAR’s elegant zip pocket bag, transporting the ASPECTAR is certainly more a pleasure than a chore.” Says a brochure from the year 1969. 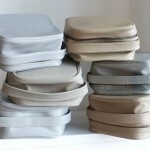 The bags are made of synthetic leather, in discreet grey or beige tones. 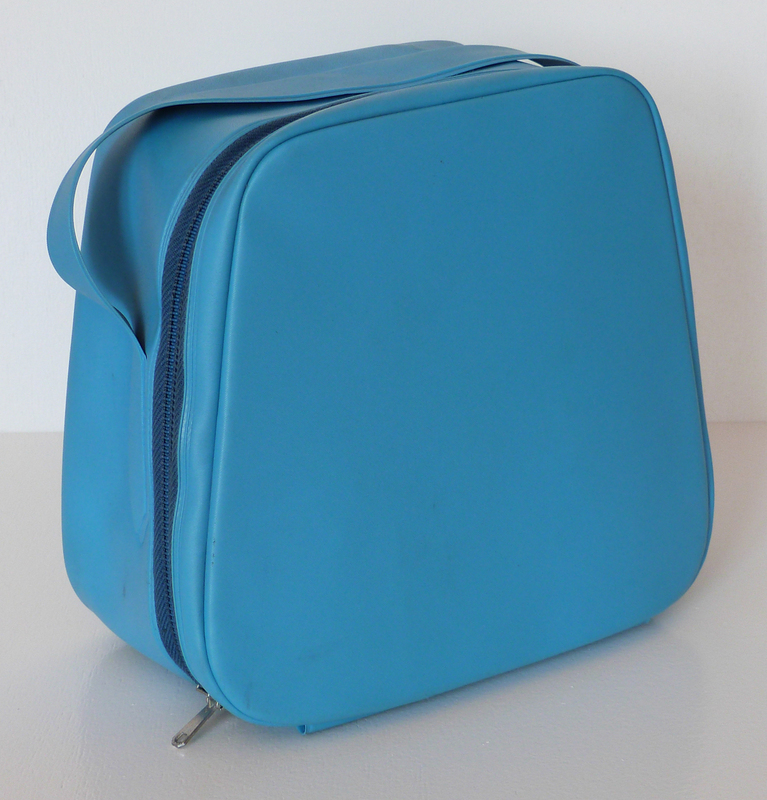 Particularly striking is a bag in light blue, with carrying handle and all-around metal zip. 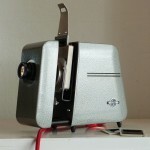 Your projector is accommodated in a perfectly shaped, elegant and classy carrier. 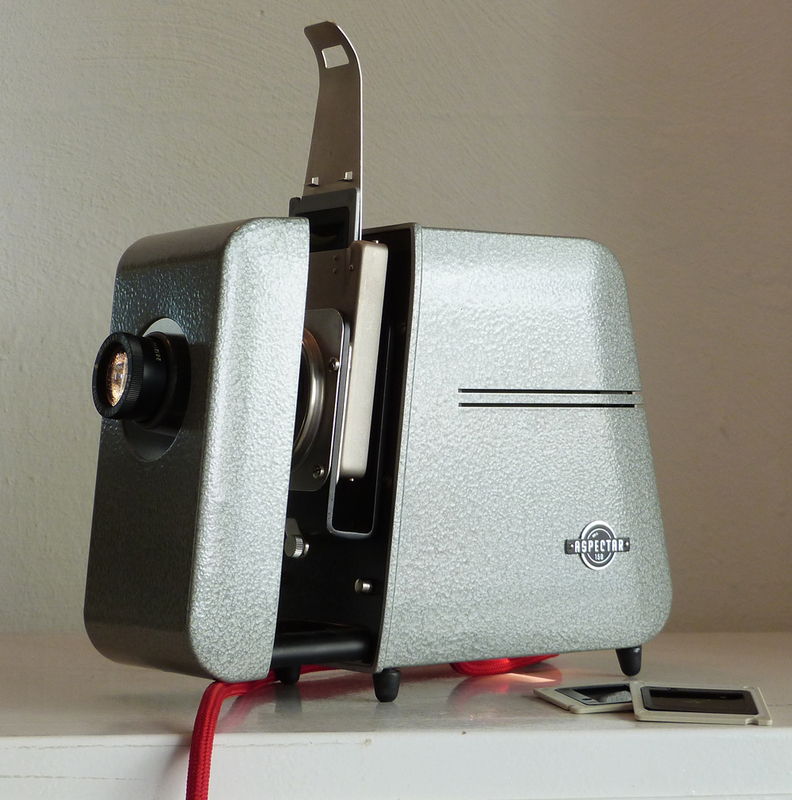 Inside, a small pocket is provided for storage of the manual changer, the hole slide to adjust the projection lamp, and a lens cleaning brush. 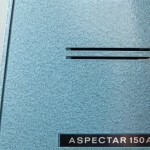 In contrast to the elegant bags of the early years, late model ASPECTAR 150 A’s were offered with a rather clunky-looking black leatherette case. 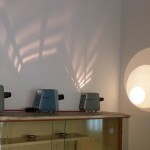 In its current modified version, this “elegantly shaped Home Projector” is able to achieve current technical standards and therefore to enhance functionality. 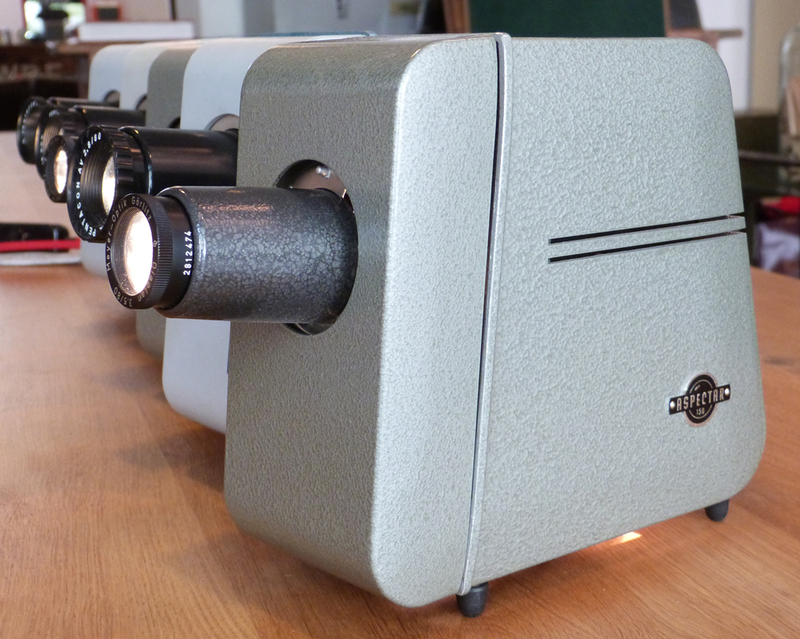 Due to the low heat generation, the projector is now suitable for continuous use. 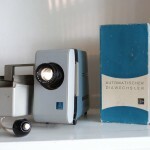 The good image reproduction and the antiquated charm of home projection makes this unique pastime well worth preserving. Special thanks to Carl for the translation, very british.